Posted 9 February 2014 & filed under 2000 -, Life and leisure, Nunnery open space, Places and spaces, River Ver, Watercress industry. 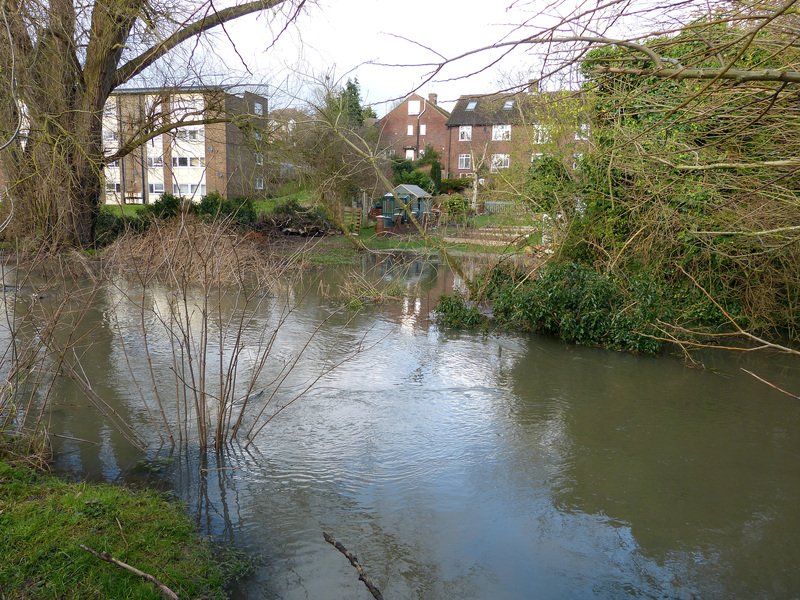 A large stretch of the river Ver, from Holywell Hill up to New Barnes and on to Park Street, runs through Sopwell. 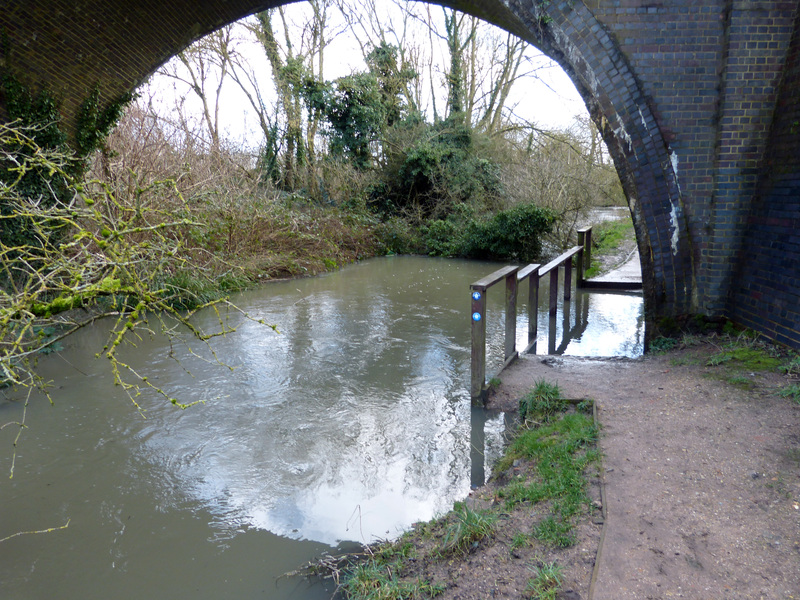 Today the river Ver can be described as just a pretty fast flowing chalk stream but not so long ago, before the water companies started to extract the water, it was a proper river and people used it for recreational purposes. The Ver as we know it today has been canalised so it flows in more or less straight lines. 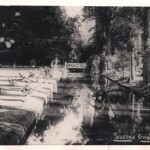 The river at the bottom of Holywell Hill, for instance, was diverted by the Spencer family for their water gardens. 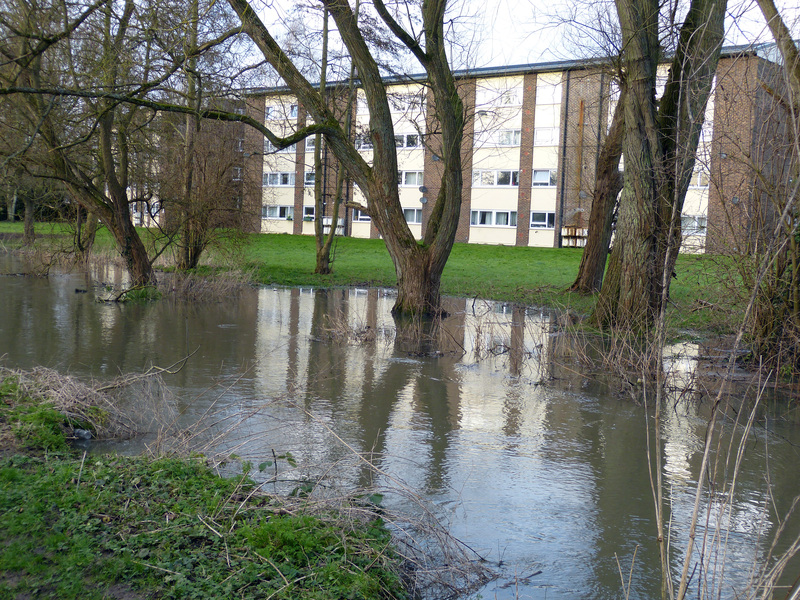 Such diversions are, of course, not natural and sometimes the river breaks free and floods the surrounding land. This is a natural phenomenon and the surrounding water meadows are home to a variety of wildlife. 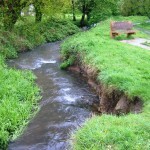 The river, and the springs which fed it, was essential to the watercress industry. 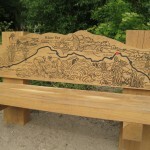 Thanks to the Ver Valley Society and St Albans District Council, a scheme was devised in the mid-1970s to create the riverside walk – the Ver Valley Walkway project – from St Michaels village to Moor Mill in Frogmore. 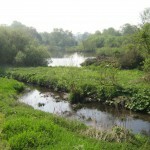 As much of the river goes through Sopwell, the plan was to improve the area around the river such as the open space by the ruins and the disused railway line to Hatfield, which eventually became the Alban Way. The initial plan was to open up the walkway from Holywell Hill behind Prospect Road through to Cottonmill Lane by the swimming baths and this was eventually achieved although not without a battle. Some Prospect Road residents fought the scheme as they said that their back gardens were an easy target for vandals. The path from Cottonmill Lane to Sopwell Mill farm was in existence at the time but very overgrown. 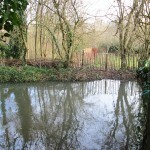 It is now well managed although there is no access to the farm from the path. 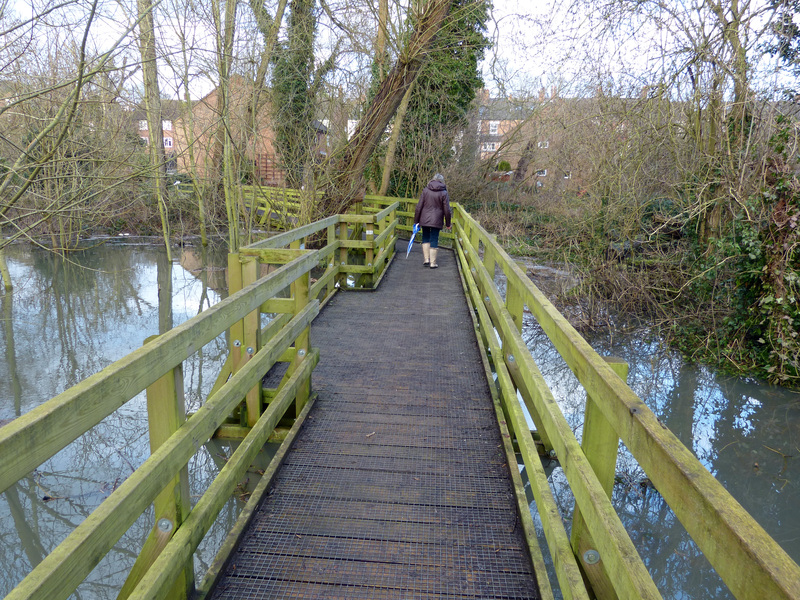 In 2010, the Sopwell Residents Association applied for and obtained a grant from the lottery funded Groundwork UK to build an all weather boardwalk and crushed concrete path which has improved the walkway. 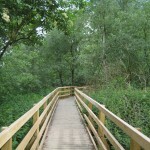 It has been named Fenny’s Boardwalk after the name of the man who looked after the stables in Cottonmill Lane. It has proved to be a boon in the wet winters of 2013 and 2014. 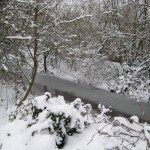 The next stretch from Sopwell Mill to New Barnes is privately owned by the Gorhambury Estate, so walkers have to continue along Cottonmill Lane and rejoin the walk at New Barnes mill. 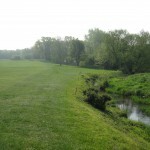 Members of the Verulam Golf Club are fortunate to able to see this part of the river from their side including the wide areas which were once watercress beds. Sea oyster shells have been found by the present tenants of Sopwell Mill in a field in this stretch of the river which may have been discarded as far back as the Roman occupation suggesting that it really was a navigable river.